After a successful implementation of Akfen’s first 8MWn licensed system in Elazığ in 2016 and after recently signing another 9MWn license with YBT Enerji, Asunim is very proud to add these new references to its EPC and Operation and Maintenance portfolio. Asunim is a highly active and consistent EPC company in the Turkish solar market that just signed another 9MW license with YBT Enerji. The dedicated international engineering team of Asunim has a long track record of successful systems design and implementation, using cutting-edge 3D modelling and simulation software to correctly elaborate extremely important shading and counter slope calculations. Managing partner of Asunim Turkey, Mr. Umut Gürbüz stated: “We are delighted that Akfen have chosen to continue to work with us, it is an extremely important reference that our approach to EPC in Turkey is well established. Like all our other projects, these systems feature the best industrial equipment and we employ installation, operation, maintenance and monitoring according to highest standard of European norms and many years of experience. Each 10MWn site of Akfen is estimated to generate up to 20.3 million kWh electricity per year. Operation and Maintenance activities will be covered by Maxima Enerji, affiliate O&M Company of Asunim, managing our whole portfolio and systems built by third parties that, due to the current consolidation in the Turkish market, are no longer active market participants”. 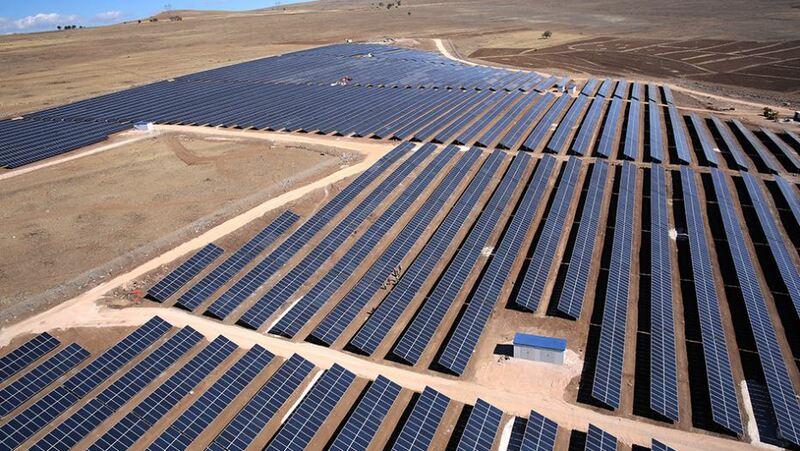 The licensed systems, with a capacity of 12 MWp each, will be installed in Konya Province, Turkey. Project planning, engineering steps and system installation are scheduled to be concluded within the next 5 months. Asunim is currently one of the leading EPC companies in Turkey and has so far concluded projects of 140MW with a separate and clear structure committed for long-term O&M commitments. Akfen Renewable Energy, which started electricity generation by launching its first HEPP facility in 2009, continues its activities in Turkey, where the highest energy demand increase has been realized among the OECD countries in the last 10 years. The company continues to rise rapidly in the renewable energy sector and 20% of the company’s shares are owned by two important international organizations EBRD* and IFC*. Akfen Renewable Energy strongly focuses on cost control through its lean and efficient organizational structure, continuing its activities with its proven experience from development and licensing to construction and operation. Akfen Renewable Energy Inc. continues to make investments with a wide portfolio of 1,724 MW capacity HEPP, SPP and WPP projects that are currently at various stages of the development process. Asunim is based in Ankara, Turkey and operates as a consultant, project developer and EPC and O&M company with focus on project legalization, engineering, component supply and the execution of photovoltaic power plants in the Turkish market and greater region. It belongs to the Asunim group with current further subsidiaries in Portugal, Spain, Dubai and the United Kingdom, accumulating a current track record of 850MW. Maxima is based in Ankara, Turkey and operates as an O&M company with focus on PV project operation and maintenance of Asunim’s own EPC portfolio and third-party system customers in the Turkish market and greater region. It belongs to the Asunim group. Many years of experience flow into Maxima fine-tuning and detecting errors, leading to drastic increases of energy yield on existing solar power plants.